Tell us a little about your inclination towards Sales Technology? What has driven you to be a CEO for an organization that specializes in Sales Technology? I actually founded the first CRM company in 1988 – Aurum Software. Our vision was that companies needed to manage their customer interactions in a centralized approach, so that the entire company shared the same view of the customer, and can create efficiencies and gain insights for business optimization. During my CRM and sales technology journey, I was COO at a Salesforce.com platinum reseller of Marketing Cloud, Pardot and SF CRM. It was there that I realized that many customers experienced sub-optimized results in sales and marketing due to the limitations and costs of working with incongruous platforms. 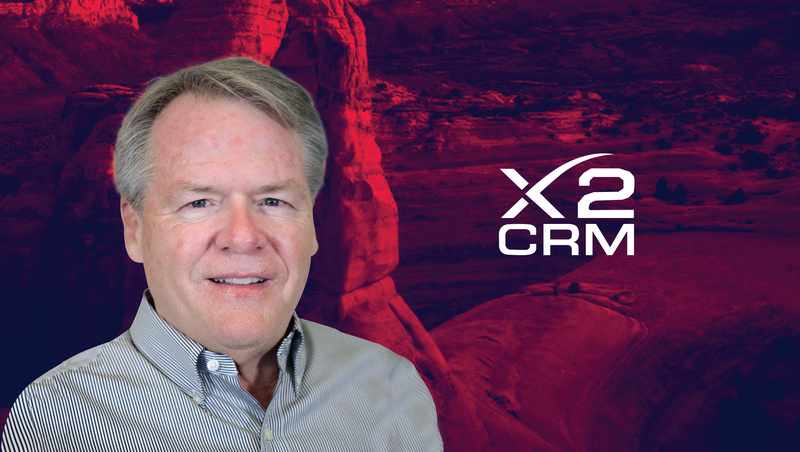 My 30-year career in software came full circle when one of my employees at Aurum Software –John Roberts – asked me to become an advisor at X2Engine, the creator of X2CRM – which I then acquired in April of 2017. X2Engine and X2CRM presented an opportunity to come onboard a company that truly understands what the end users really want: a seamless product that provides all necessary tools and services required by a true CRM sales and marketing model. It has been truly exciting to work with a team that has a vision that is bringing a truly innovative and successful product to the table. Are Sales not possible today without a strong CRM system? If yes, then how has CRM changed the Sales Industry? Of course, sales will always progress; however, by having a strong CRM system that brings all aspects of the entire customer journey together on a single platform will make the sales process much more successful. With CRM software, especially those that bring both marketing and sales functions together is certain to make the sales process better prepared to handle all the intricacies of the sales process — from start to completion. What is that thin line between MarTech & SalesTech? How do you design a CRM that maintains that difference even when it is a unified product? Traditionally marketing was thought of like the arm that provided the tools to the sales team; however, in today’s marketplaces, those lines have nearly disappeared. We now consider marketing an essential component of the entire sales system, and we designed our Marketing Automation and WorkFlow engine to integrate marketing processes throughout the entire system to meet this requirement. What is more important to you-Building a great product or a strong focus on Client satisfaction? Even when you provide a great product to clients, you are not certain to have client satisfaction. Therefore, I think that a total focus on customer success is critical. We have designed our business model to include an option where we will do the entire implementation of X2 including conversion from legacy CRM and MA products. Essentially, I embrace building the very best product based on understanding the wants and needs of my customers both present and future. X2Engine has purposefully designed a modern software solution plus services and support – as a complete package – to help companies that want to maximize sales and marketing integration. For instance, we have invested millions of dollars into a migration solution that can replace multiple and disconnected SaaS CRM and Marketing Automation with X2CRM, without losing any data, workflows or existing user experiences. This is our investment in a great product. And as a result, X2Engine has been able to replace massive Salesforce.com and Pardot deployments (for example), in under 6 weeks, where the company does not lose information or productivity. How can the Sales Industry best leverage on X2CRM? Sales need to be deeply connected to every aspect of customer engagement. This helps them understand the customer’s interest, immediate need, and urgency. The salespeople who listen and respond appropriately will win the business and uphold the strongest perception. By constructing effortless customer experiences, and then monitoring all activity to then properly monitor and measure the response help sales understand what is the right offer or response and what is the right time to provide it. X2CRM optimizes the sales process and interactions, by providing complete control and a complete view of the customer because it combines CRM with Marketing Automation and a WorkFlow engine. Sales can leverage X2CRM’s Full customer relationship management, deal opportunity tracking, sales funnel reports, quoting and invoicing, sales pipeline and sales process workflows, and internal alerts, tasks, collaboration, and document management. Plus X2 has handy integrations such as Microsoft Outlook, DocuSign, LinkedIn, and even QuickBooks. It’s a complete toolset for Sales teams to scale and grow. Could you give us a real-world example of your product(s) when they helped a business resolve a complex problem? We recently implemented X2CRM with a designer and creator of custom motorcycle bags for adventure touring. The company has a unique customer base and relied mainly on its online presence including web stores and social media platforms to receive and fulfill orders for its products. The company’s eCommerce engine is powered by X2CRM, which includes an X2-powered Facebook button that allows the company to take orders directly from Facebook, which are then automatically received by the warehouse for shipping and fulfillment – so, in essence, X2CRM is covering all aspects of an ERP system. The company also uses X2CRM in its overall marketing efforts due to our single-step contact lead/contact collection and our Marketing Automation and WorkFlow processes. Could you name some tools that X2CRM can integrate with? 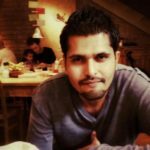 X2CRM uses X2CRM REST-ful API that connects to many external applications and interfaces. This second-generation HTTP-based API allows seamless integration with a customer’s existing software and third-party framework, including connections to Google Gmail, LinkedIn, Microsoft Outlook, Twitter and others. Because of the amount of data that can be captured by CRM processes, AI can be leveraged to provide services that will substantially streamline the sales and marketing processes within a company. If companies have an AI solution already chosen, integrating it into the vast data source collected by X2CRM is simple, because it’s all centralized and structured data – reducing the cost for data mapping and integration. Analytics powered by AI can not only personalize the customer journey but ensure that automatic triggering of tasks and events that will guarantee that all aspects of the experience are attended to. Personalized experiences for the customers from marketing to customer services, essentially throughout the customer journey. When tasks and events are automatically triggered, and the correct people within your organization is notified, the chances of final customer satisfaction are increased as customers will no longer be “falling through the cracks” so to speak. Absolutely. As I said, the amount of data that must be collected and resolved is substantial. AI can be implemented throughout a customer-centric platform to make sure that the entire experience is beneficial to both the company and the customer. I use several including Spotify, Gmail, Waze, LinkedIn, Facebook, Snapchat and many others! If not into Sales Technolgy, what would be your alternate career choice? Building spec homes. I own a business that does about one house a year and my good friend runs the company for me. I love the idea of scraping a house and creating a new house that maximizes the utility of the property. The construction process is really fun when you get to watch a project go up to completion. The person who has really made the most impact on life, I think, is soon to be if not already, Jeff Bezos. I will never forget one Sunday afternoon, I was napping in my house that is down a county lane in Woodside, Calif., — a place that rarely gets any visitors. I heard a knock on the door, jumped up and stumbled to the door. I opened the door and was shocked to see an Amazon box sitting there. About two weeks later I saw a USPS delivery truck driving around the neighborhood and instantly realized that Bezos had cut a deal with the USPS. Thank you, David, for taking us close to your Sales and Customer Success strategy! X2Engine, Inc. is the developer of the seamless enterprise CRM, workflow, and marketing automation platform, X2CRM. The company was launched in 2011 and is now one of the fastest growing CRM companies, with more than 40,000 deployments worldwide. X2Engine, Inc. offers a variety of services where every aspect of CRM migration and deployment can be handled by X2Engine, assuring every customer’s onboarding experience will be stress-free and successful. X2Engine offers “white-glove” customer service and support that begins with an unrestricted evaluation trial, data-migrations assistance, on-boarding, and training—all of which allow customers complete control over system deployment, customizations, security, and data optimization. David Buchanan is currently CEO of X2Engine, the company that developed X2CRM. Prior to this position, he was an executive at Bluenile, Pierry and the Founder of Aurum Software (the first CRM company). He holds an MS in Math/Computer Science from Principia College and an MBA and MS in Management Information and Database Management Systems from the University of Arizona.